Maria married her high school sweetheart and has two beautiful children. She lives in a ranch style home in the quiet suburb of Itasca, Illinois. She was a nanny for about 10 years and although she loved it, Maria wanted to follow her passion of party planning. Her family and friends encouraged her to use her creative talents and visions by starting her own business. Maria luckily met Jourden who coincidently had the same passion, and formed JoMar Party Creations. Jourden lives inDes Plaines, Illinois with her husband, son and her Yorkie-Poo Butterbean. She was a nanny for about 4 years to four wonderful children she adores. During Jourden's time with them, she knew she wanted to pursue party planning. She always had a love for it and used her talent to plan family and friends' special events. During her third year as a nanny, Jourden met Maria who happened to have the same passion! In a blink of an eye, JoMar Party Creations was in the making. If you schedule a party with JPC know that you're going to get two dedicated, creative, and sociable party planners to make sure your special event rocks and is packed with love - Patrick M.
These ladies are great!!!!! From the decorations to the food and activities hosted there is no way you can not have a good time. I attended to take photos for a kids birthday party and to snap shots of the decor they had out, i was roughly going to be there for about 3 to 4 hours the most but ended up staying the entire time because they had rented this huge water slide blow up thing that is ADULT FRIENDLY! all the adults ended up getting on a few times. So whatever event you need organized these ladies will have all guests of all ages entertained!- Cynthia G.
JoMar, they are your best bet for a custom themed party. So much creativity and energy is put into the planning and execution - no detail is overlooked! My baby shower was the most amazing thing, from the decorations to the food to the activities all the way down to the invitation design and party favors. 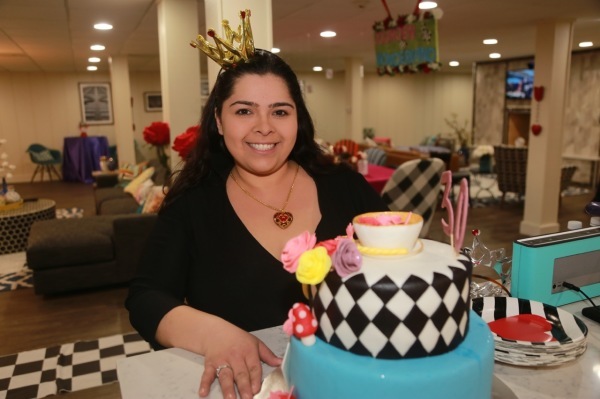 I've seen their birthday parties, wedding showers, baby showers, graduation parties, welcome-home parties - they do EVERYTHING with extreme precision - and they make it fun! I will always recommend JoMar!- ​​Mary C.
Maria thinks of every little detail when planning for parties. I have been to a few of her parties and always completely blown away by the thought and time put into the food, invites, decorations, favors, etc. - Claire P.
I have been to many kids birthday parties before, the one recently hosted by Jomar was amazing! My wife and I were not there with kids of our own and still had an amazing time, the themed beach decorations were in great detail and the water activities were just as fun for the adults as for the kids, great creativity!! We would 100% recommend them for a themed party. - Chris S.
I've attended a few JoMar parties, and they have been perfectly orchestrated! Jourden did a great job taking care of entertainment, decor, and transitions between activities, plus the food is always on point. Friends who hosted the parties I've attended, rave about how punctual and professional the staff is. I would highly recommend these ladies to host any event you'd like to impress guests with!-​Mich O.
for more information on how we can help with your next party!